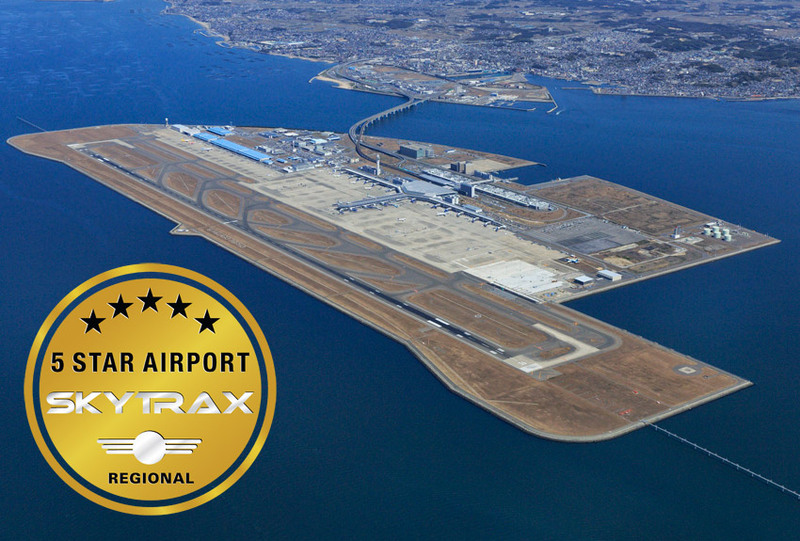 Chubu Centrair International Airport in Nagoya is announced as the world’s first 5-Star Regional Airport by SKYTRAX, the international air transport rating organisation. 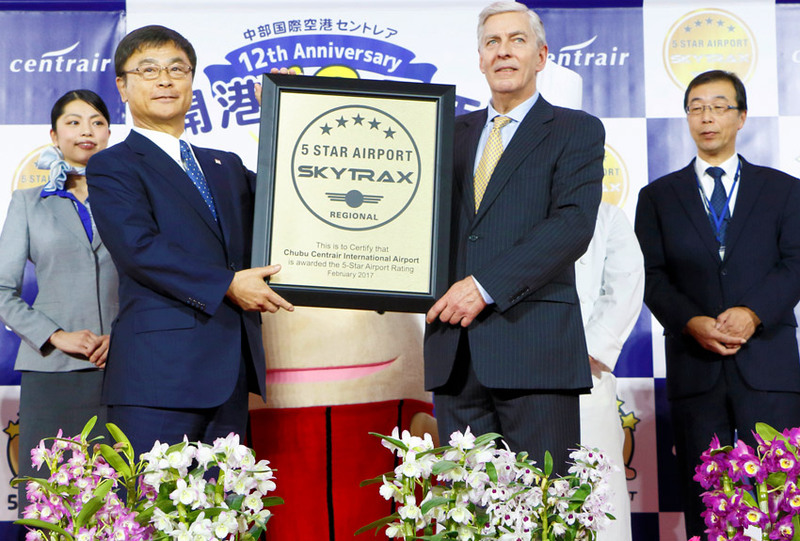 With just 6 major global hubs holding 5-Star status, Chubu Centrair International Airport becomes the world’s first airport to receive the 5-Star Regional Airport Rating. The Centrair rating recognises high standards of Product and Staff service across different assessment categories in the Airport environment, and the Audit noted that Chubu Centrair International Airport is at the forefront in terms of service quality and consistency, and product and service innovation in the airport. The 5-Star Regional Airport Rating was introduced by Skytrax in 2016, to enable proper recognition of airports that predominantly focus on regional route operations, and whilst not global mega hubs, they are airports that deliver high quality levels to their customers and meet the 5-Star requirements. Chubu Centrair International Airport offers a wide choice of regional routes across Asia, as well as to the US, Middle East and Asia. 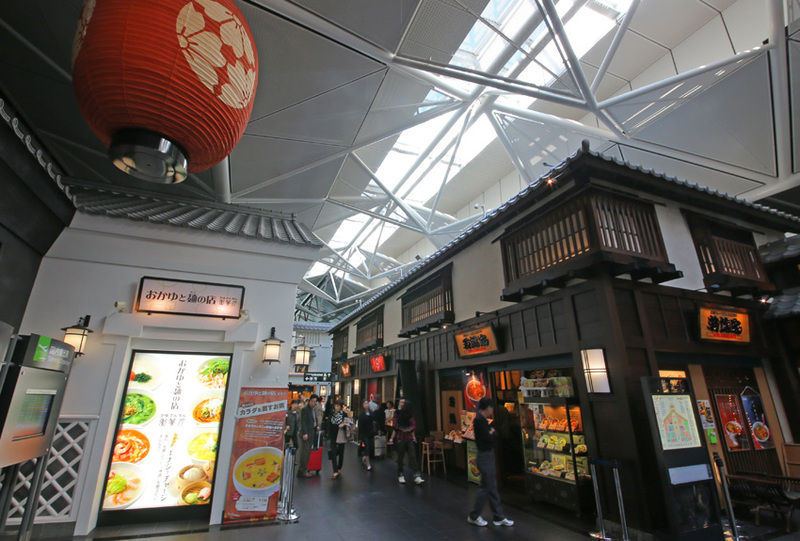 A primary focus of the 5-Star criteria is that an airport must offer an easy and pleasant travel experience to customers, including items such as wayfinding and signage, seating and comfort, food and beverages to security and immigration processing, and these are all rated at a very high standard at Centrair. Airport terminal cleanliness and presentation is a key item the Skytrax Audit focusses on, with the need for an airport’s mass processing of customers to provide an assurance of hygiene. 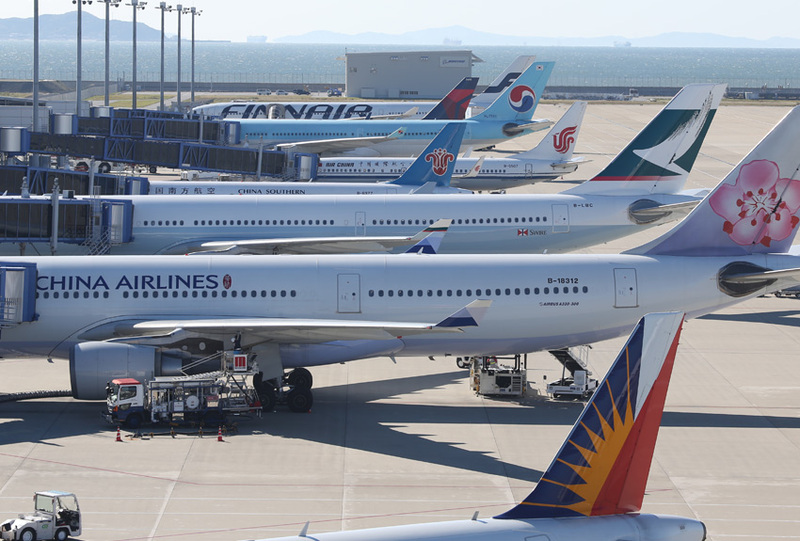 All terminal areas including washrooms, seating areas, and other front line facilities were subjected to rigorous tests at Centrair, and Skytrax report that these items meet global Best Practice standards. Chubu Centrair International Airport enjoys excellent ground transport links, with its Access Plaza located just 30 metres from the arrival and departure halls, which links trains, buses, cars, high-speed boats, and public transport with the Passenger Terminal. For customers with a little longer to linger at the airport, the Sky Deck is at the top level of the Centrair terminal, and extends outwards towards the runway, with a 300 metre long upper is lined with wooden flooring. 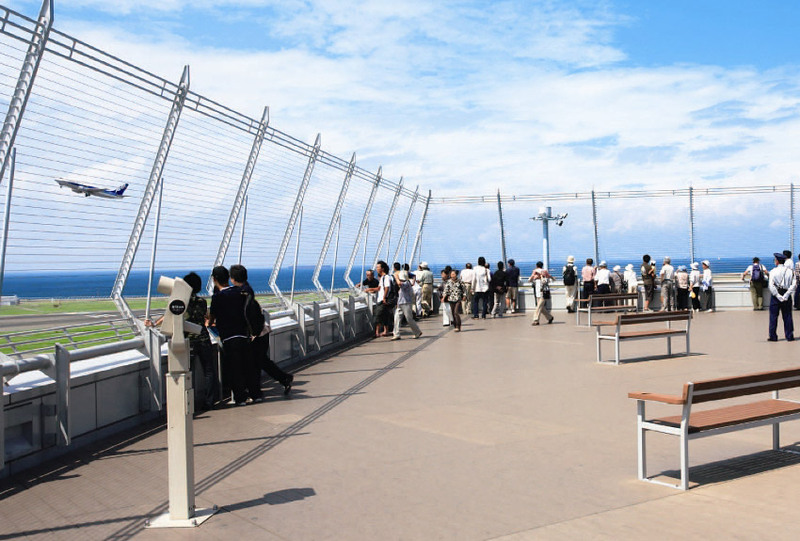 Many people praise this deck for having the closest observation point to the airplanes in Japan. The farthest end of the Sky Deck is 300 metres from the runway and just 50 metres from the taxiway that airplanes take when taxiing to the runway, making it possible for visitors to see the airplanes close up. 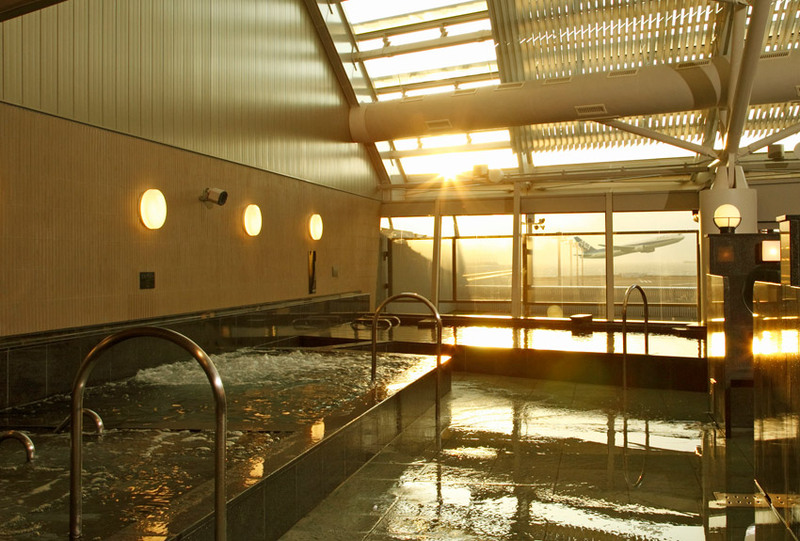 The first of its kind in Japan, Centrair offers travellers the chance to experience its bathhouse with a view (Fu No Yu), where they can enjoy a relaxing soak in this bathhouse, while viewing the airplanes and watching the sun as it sets. Customers can enjoy a comprehensive choice of food and beverages throughout the landside Sky Town area, restaurants offering Japanese, Western, Italian, French, Chinese, Korean, and other World cuisine including the Ramen and Noodle Restaurants. 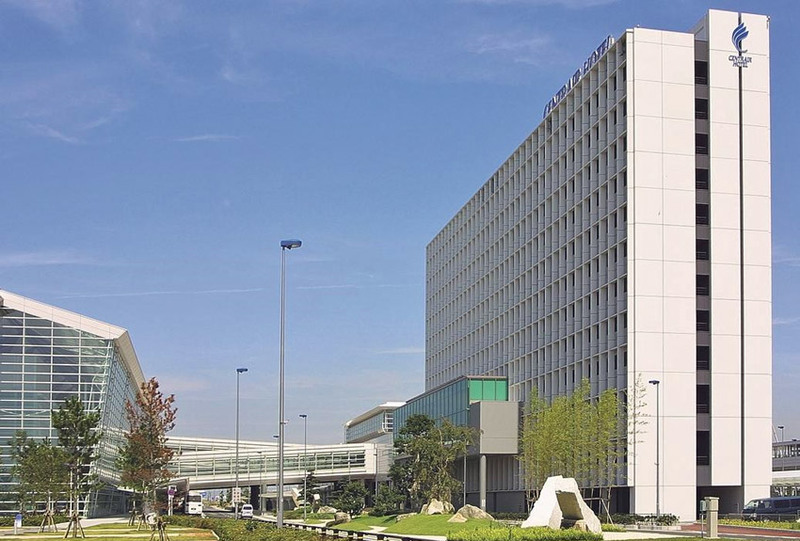 The highly rated Centrair Hotel is directly connected to the airport facilities, being located close to the Central Japan International Airport Station ticket gate (100 m) and airport check-in counters (130 m), offering true 5-Star levels of convenience. Skytrax completed the quality audit of Chubu Centrair International Airport in December 2016, examining in detail all product and service delivery areas across the terminal operational features. Skytrax are specialist research advisors to the air transport industry. Dedicated to improving the customer experience for airlines and airports across the world. Skytrax delivers expertise and innovative thinking to encourage change.